ESPN Launches Ambitious Storytelling Presentation of Pin Kings - ESPN Press Room U.S.
ESPN has launched one of its most ambitious storytelling initiatives ever with the multiplatform presentation of Pin Kings, the true story of two high school wrestling teammates and how their lives intersected into adulthood through drug trafficking, law enforcement and, ultimately, sports. Television, print, digital and audio content all will tell the same story but in formats that fit the specific audiences of each platform. Pin Kings debuted Monday with the first of 16 podcast episodes offered daily and will culminate with a one-hour, prime-time SC Featured television special on Monday, Aug. 22, at 8 p.m. ET on ESPN2. Throughout August, the multiplatform presentation also will include a long-form feature in ESPN The Magazine, a digital treatment on ESPN.com, an advance airing on WatchESPN and a preview of the television special in the weekly SC Featured segment on SportsCenter. Written and produced by ESPN The Magazine senior writer Brett Forrest and ESPN producer Jon Fish, Pin Kings tells the story of Alex DeCubas and Kevin Pedersen, co-captains of their high school wrestling team in Miami, whose lives took totally opposite turns. DeCubas became the biggest trafficker of Colombian cocaine on the east coast, while Pedersen became a DEA agent tasked with taking down the Colombian cartels and their American partners, which included his former teammate and friend DeCubas. Through it all, the lives of the two men continually returned to their experiences in wrestling. Pin Kings traces their story from the beginning until their surprising lives today. 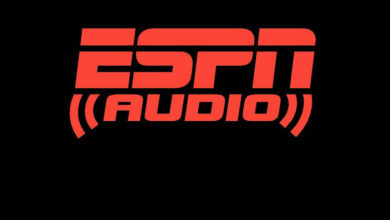 ESPN Audio Podcasts – Following the success of Dunkumentaries – ESPN Audio’s first long-form podcast series – ESPN Audio again delves into that genre with its first foray into an episodic series with the 16-episode Pin Kings. Narrated by Brett Forrest and Jon Fish, Pin Kings offers a compelling and comprehensive examination of the lives of Alex DeCubas and Kevin Pedersen that spans four decades — from the two as high school wrestling teammates, to adversaries on opposite sides of the law. The series takes a look at the global landscape during the ‘90s and ‘00s, taking listeners from the suburbs of Miami, through the mountains of Colombia, to the beaches of Bimini and the halls of justice, all while threading the disparate paths taken by DeCubas and Pedersen. Forrest and Fish traveled extensively across the U.S. – from Las Vegas to Vermont to Minnesota to South Florida – and to various cities in Colombia, including within the walls of a prison and observing a simulated drug “air drop” whereby bales of narcotics are transferred from a plane to a waiting boat. The episodes are 20-30 minutes in length and include podcast-exclusive interviews with more than 20 individuals related to the story. ESPN The Magazine – Pin Kings, a story written by Brett Forrest, is a 5,000-word feature that will appear in the NFL Preview Issue of ESPN The Magazine, on sale August 26. The Magazine will follow the full arc of the story between convicted drug smuggler Alex DeCubas and DEA agent Kevin Pedersen, champion high school wrestling teammates who would find themselves opposing each other in South Florida’s drug wars. ESPN.com – The digital presentation of Pin Kings will appear on ESPN.com on August 18 and will include Forrest’s 5,000 word story as well as original animation, video and interactive maps designed to give fans a deeper understanding of the intricacies of the story. SC Featured on Television –.The hour-long TV special SC Featured: Pin Kings will debut Monday, Aug. 22, at 8 p.m. ET on ESPN2. The program will tell the story of former high school wrestling teammates Alex DeCubas and Kevin Pedersen, who later become adversaries on both sides of the law. The special includes exclusive interviews with the two main subjects as well as behind-the-scenes access at a Colombian maximum-security prison, infrared video from the U.S. Coast Guard of the Nerma, a ship used in DeCubas’ smuggling operation and never-before-seen images of a submarine DeCubas built for smuggling. The weekly SC Featured segment on the Sunday, Aug. 21, editions of SportsCenter will preview the full-length program. WatchESPN – Prior to the television premiere of Pin Kings on August 22, the full one-hour program will be made available to stream on WatchESPN on Friday, Aug. 19. The program also will be available through video on demand via multichannel providers.